Thank you to everyone for the warm and friendly welcome I received both on my first Sunday with you on January 10th and on each Sunday I’ve been with you so far. I am delighted to be completing my parish placement between now and Easter Sunday, at Ruxley Church. This is part of my training for ministry within the Church of England. 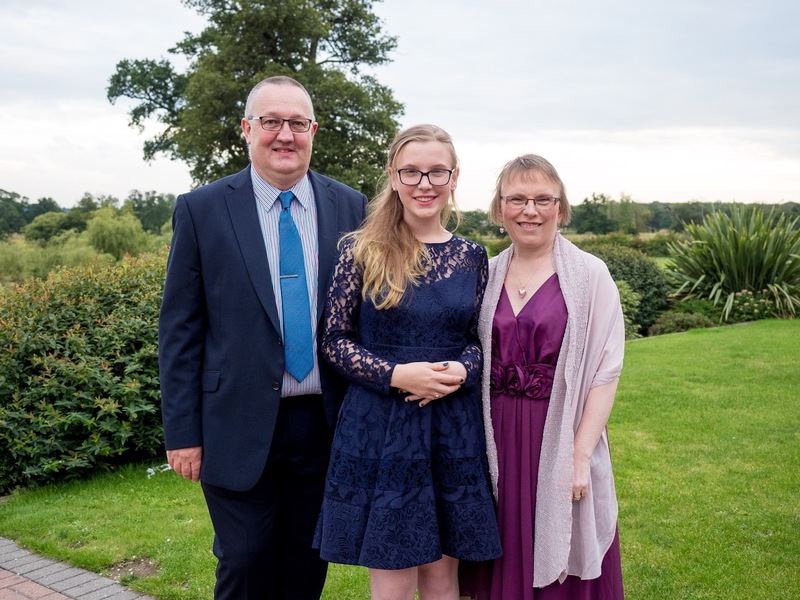 When I don’t have my head in books or completing my assignments, I am a wife to Robin and a mum to our 18 year old daughter, Abbie. Robin and I have been married for almost 201/2 years. We met through the “Two’s Company” column in the local newspaper and 30 days after our first date, Robin proposed. Robin is a general manager for the Metropolitan Police and commutes up to London on his motorbike each day. I often refer to Robin as my gentle giant as he is much taller than me in stature but has a very caring and gentle heart. After being a nurse for a number of years, I moved into the commercial environment and am now a marketing manager. Like Robin I work full-time, for one of the UK’s leading facilities management companies; we provide cleaning, security and other services to keep large buildings and about 1/3 of all Tesco stores across the country spick and span. Friends would describe me as passionate, caring and a little bit wacky and those with a church background would say that they love having “nattering” sessions about God with me. Our daughter, Abbie is currently studying for A levels in French, Maths and Music. She is a very accomplished vocalist who will be taking her grade 8 singing exam before Easter and is hoping to study Occupational Therapy at University. To relax, I enjoy narrow boating, listening to a wide range of both classical and contemporary music, playing the piano and singing. My decision to embark on the road towards ordination was as a result of a conversation with an elderly lady at my church. Over coffee one morning she told me that she thought I should ask the Bishop about being ordained. Whilst I initially dismissed it, over the course of time (about 2 years), others confirmed this calling. Now, almost 6 years later, I am approaching the end of a three year training course and, God-willing, will be ordained as Deacon in Guildford Cathedral on Sunday 3rd July this year.